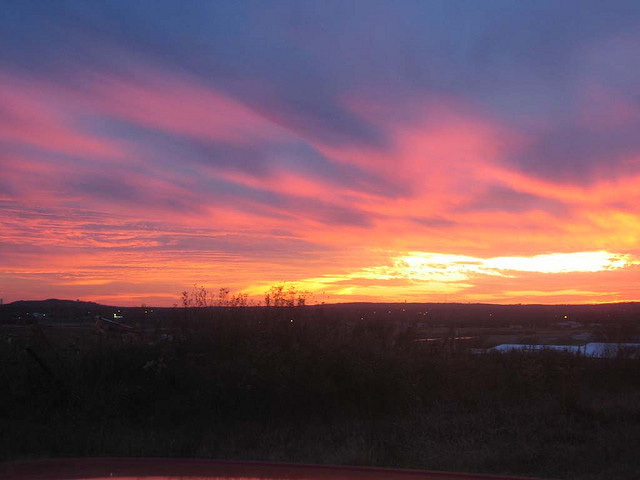 Sunset in Tulsa, Oklahoma; photo by Miles Smith on Flickr (noncommercial use permitted with attribution / no derivative works). "Work conquers all" is an adaptation of a phrase in Virgil Georgics' "...Labor omnia vicit / improbus" ("Steady work overcame all things"), a poem that was written to support Augustus Caesar's "Back to the Land" policy, which was meant to encourage more Romans to become farmers. 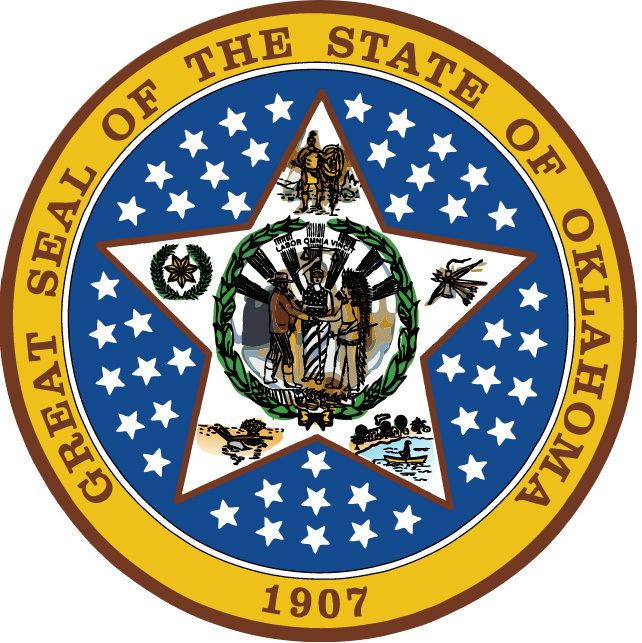 State seal of Oklahoma; public domain image on Wikipedia.